My name is Naomi; I was born from the whisper of the rain forest and mesmerized by the song of the curlews of the Costa Rican Southern Zone. The youngest daughter of a kind hearted farmer-Shaman, devotee of Saint Therese and a born expert of the language of nature and the 4 elements. I came into the world reading auras and with my pineal gland activated and my crown chakra open, hearing the voices of nature that no one else could hear. After many vicissitudes, the intricacies of destiny took me to the other side of the world, my beloved Indonesia where my spirit awoke and succumbed to the magic of the crystals and the curing stones of the Balinese culture. There I learned alongside masters, that nature itself has the answers to many of our ailments if we treat them on time; which years later took me on a long journey in Chile. Here, I collected flowers and herbs along with 2 old Machi ladies of Mapuche ethnicity. 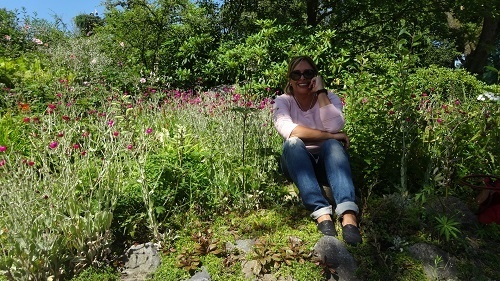 I connected to the energetic ancestral teachings of nature, taking notes and discovering aromas and textures by touch. I learned that there is a magic herbarium of flowers and herbs that gladden our soul and heal our sorrow. From Indonesia, I wandered into other countries: Laos, Philippines, Vietnam and Malaysia, as well as other Pacific islands; learning from master “Healers”. I learned to meditate and to be very careful with my karma. I continued to live there and survived several earthquakes, a gall bladder surgery, several “war” scars, a Tsunami, many monsoons, and ash rain. I wrote a book that would be published years later in Costa Rica. I believe in Angels, I am convinced that miracles exist, and that every day a miracle happens to a person you know. I am in love with life, knowledgeable, and a full believer that the way to a man’s heart is through his stomach; and that the red thread of destiny really exists. I like to speak to dogs as if they could understand my language. I like the force and the mystery of the ocean and I believe that God is the lord of life. I am a believer, without apology, that all human beings are made of divine energy and that goodness always triumphs over evil. My designs are created with authentic Gemstone therapy and positive energy. 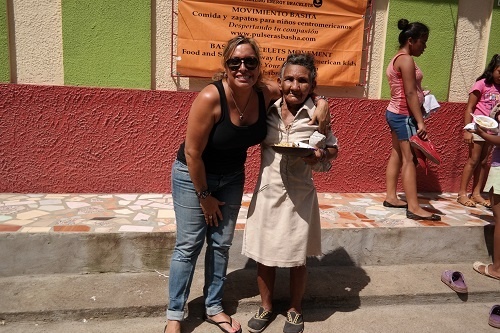 Basha Charity – “ Everyone with shoes and food” Looking for hugs and smiles in the needed towns of Central America. This entry was posted in Basha Blog. Bookmark the permalink. While in Costa Rica I’ve purchased a bracelet of energy detox stones, I felt drawn to them at the time, I would also like to purchase when I get home the prosperity bracelet, my question is, can I wear both at the same time? Thanks for your time, your bracelets are beautiful!! First, thank you for being a valued customer, sorry for the delayed reply. Yes, you may wear both of these bracelets. We wish you happiness today and everyday. I was recently in Costa Rica as well and purchased 4 bracelets. I did not know you shouldn’t wear some of the bracelets together. Can you please tell me which are ok to wear together? I’m very empathic and wanted to wear these correctly. Thank you. Absolute pleasure speaking with you, Carroll. Here are our responses from Naomi our designer. While doing Readings, always wear, The Shield. Positive Business can always be worn. Try to wear your Healing of Anxiety for 12 straight days. The Bracelet will benefit expanding confidence, self esteem and healing past. Please let us know what additional questions you may have. Hi Patrica. Our Costa Rica website is http://www.pulserabasha.com and our North America website is http://www.bashabracelet.com. All of the bracelets you have purchased can be worn together. Each is listed on the website to help make sure you choose the correct wrist according the the energy. We wish you happiness today and everyday. While in Costa Rica, I purchased the universal anti aging one for myself and the allure for my daughter. Is there specific hands that these needs to be worn on. Please advise. Hello, I was in Costa Rica recently and saw a bracelet for a male, I fell in love witht the bracelet even though it’s for a man. I am a woman and can I wear this bracelet? It’s the Ancient Male Wisdom of Power, I fell in love with the stones on this one. Hi Gai. Yes, you can wear the Men style bracelets. The stones do not know gender and the energy and purpose will be the same. Hello, Which wrist should I wear the Womens Detox Elements on? Thank you.